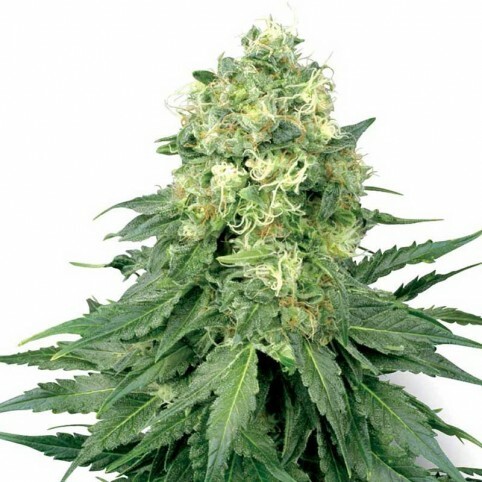 White Widow cannabis seeds are a standout amongst the most surely understood and strong cannabis strains on the planet. Made by intersection a Brazilian Sativa strain with a very resinous South Indian Indica it's named after the plant's cold appearance which makes it white with sap. White Widow Feminized is intended for the most extreme intensity as opposed to any perplexing flavor profile despite the fact that the smoke is exceptionally smooth and fulfilling. The underlying hit goes ahead quick and solid, this at that point gradually advances into an extremely loosening up high perfect. White Widow Feminized is a cannabis strain which is anything but difficult to develop anyplace. For Outdoor producers, its eight-week blossoming period guarantees that it will be prepared to gather in October in Northern scopes previously the climate gets excessively chilly.